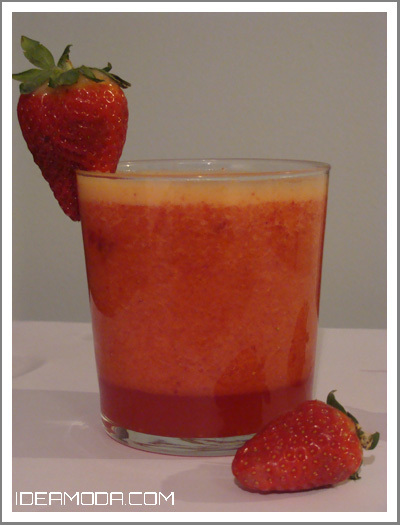 Juice oranges and mix with strawberries in a blender.Serve with some ice and garnish with strawberries. This drink is sweet as a kiss and full of vitamin C! Try it!